I hope you enjoy the teardown. You can ask any question about the unit direct to Christoph here . 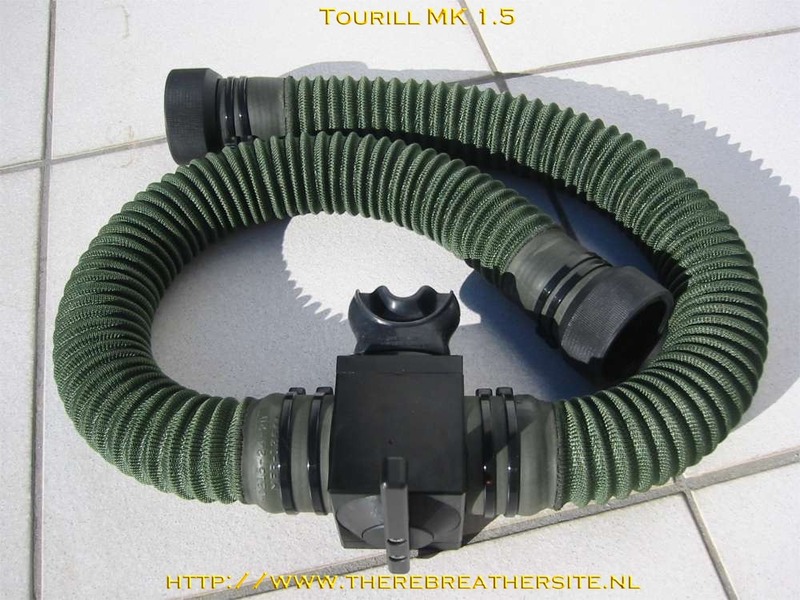 The Tourill MK 1.5 passive addition rebreather. The other guys who bought such a unit had also problems with the units. I decided to built a unit which is more safe and dive able and more easy to configure. Two other guys where also very active to eliminate the bugs in their units. I put the best ideas together and built my new unit. 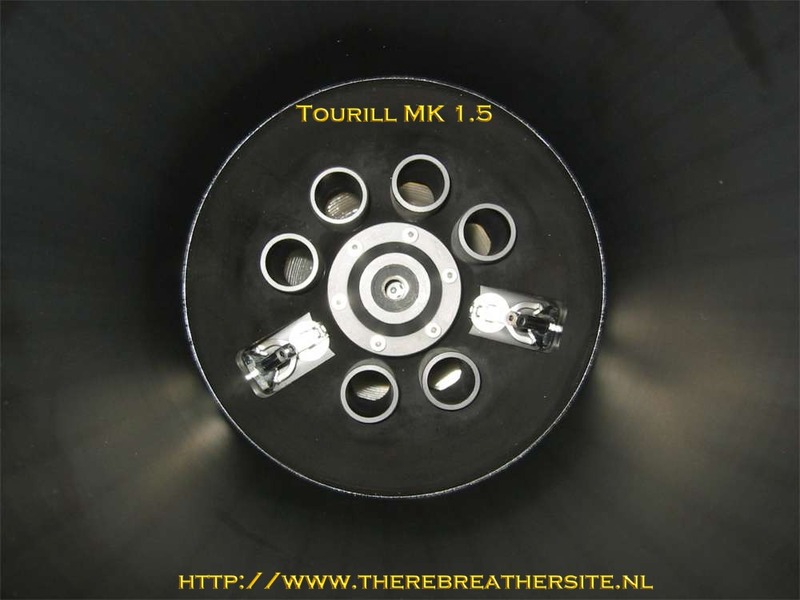 After several diving, and testing hours and changes in the unit, the Tourill MK 1.5 was born. One of my frames with 40cu.ft. 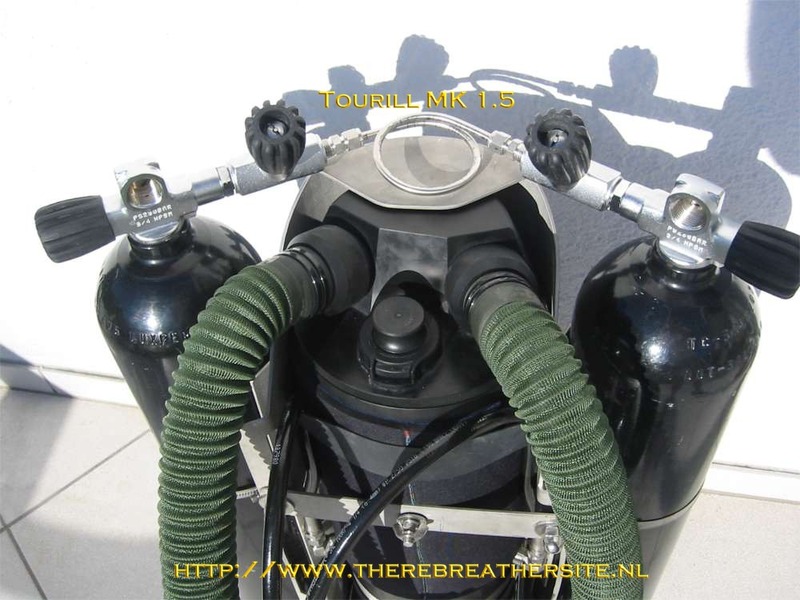 tanks used for shallow lake diving. Since I use this frame only in fresh water, it is not electro polished, only pickled. To bridge the tanks, I use the "standard" way. 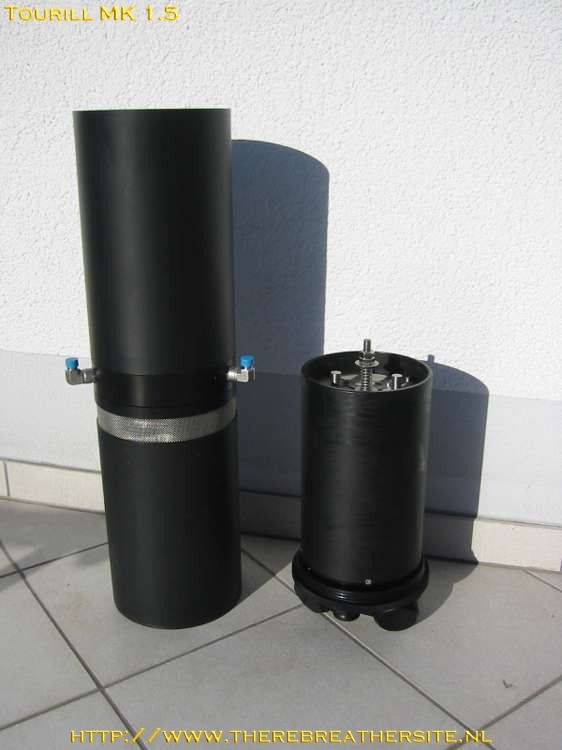 Two isolation manifolds with Swagelok pipe connectors. The unit without the frame. The gas switch block is shown here. 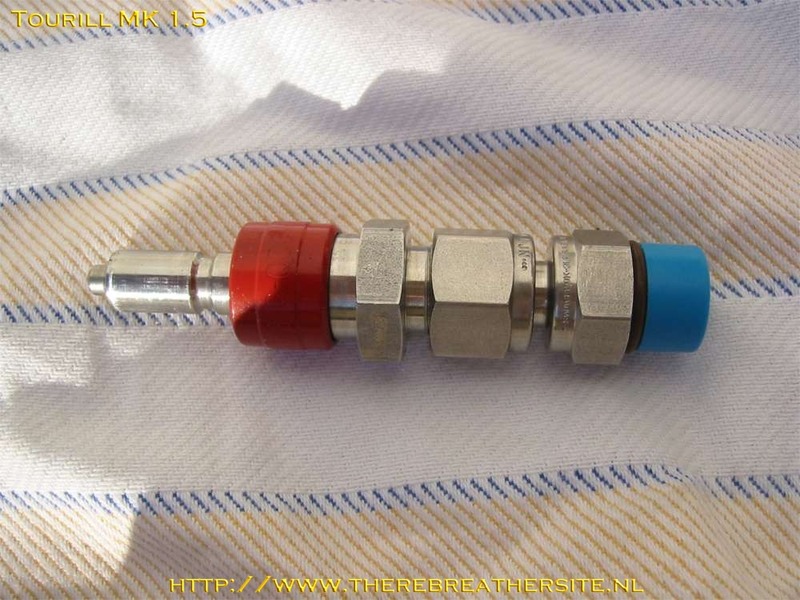 The hoses between switch block and the unit are without o-ring sealing. 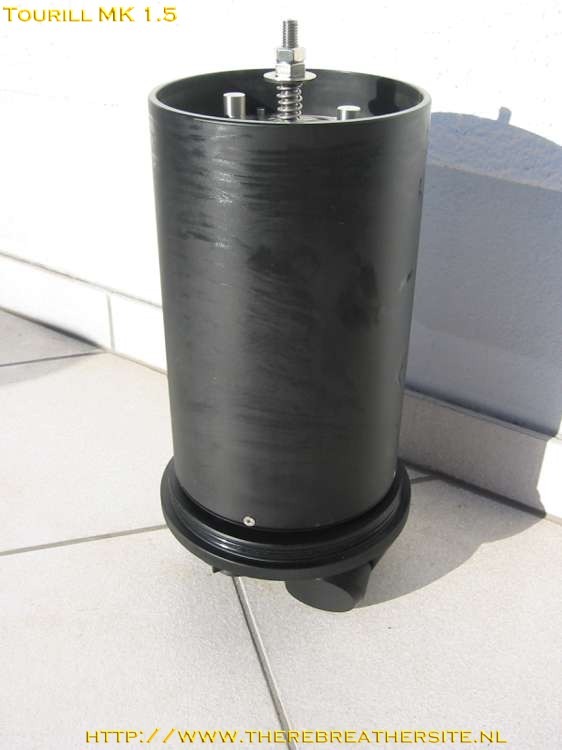 The 90° connectors are made in the same way and are also provided with the unit. 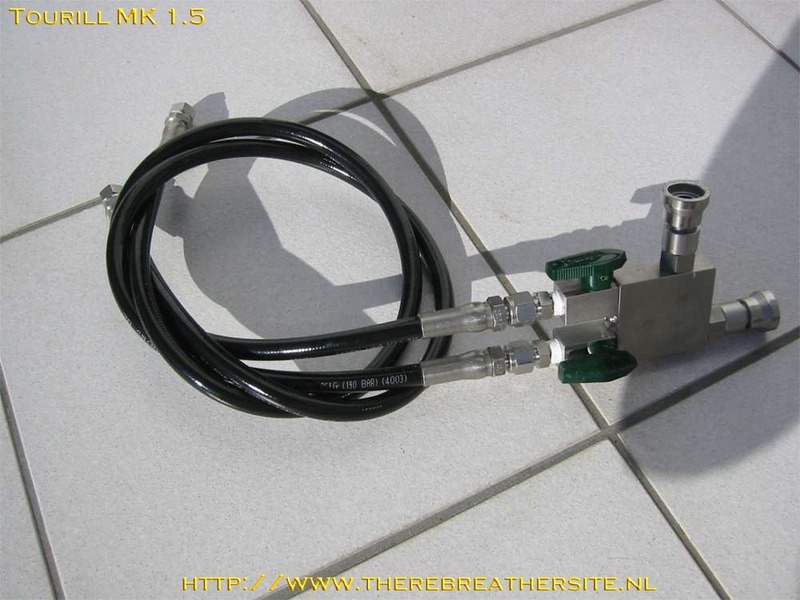 To drive the gas switch block I use standard QC6 connectors with adapters made by Swagelok. 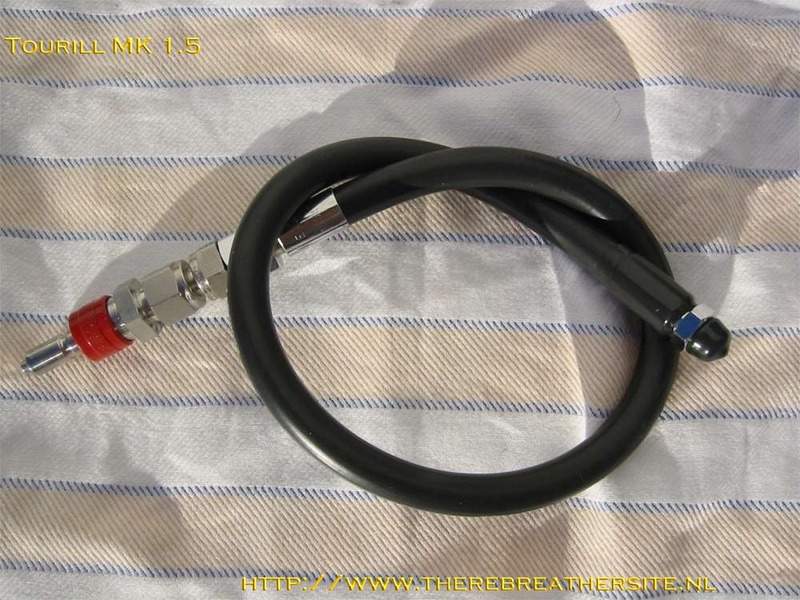 If you drill the 9/16” UNF adapter to 9.5mm it fits perfect a standard low pressure hose. To open the unit, just turn the head 1,5-3 times and pull it. 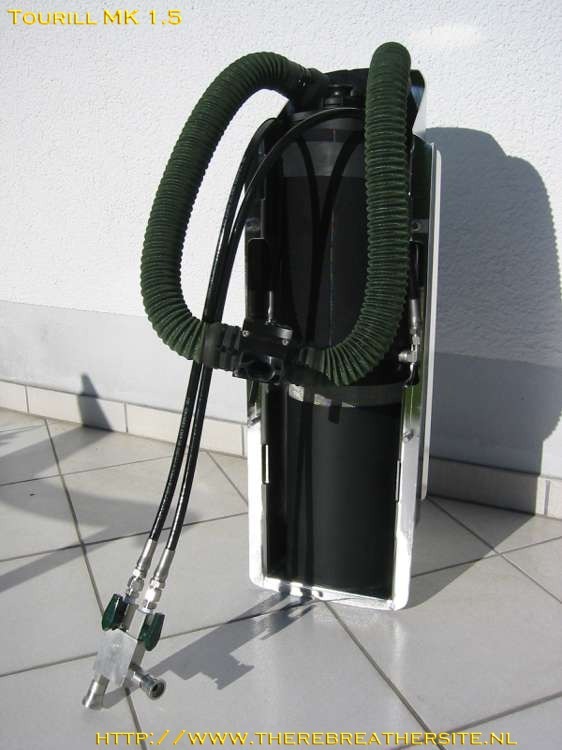 The exhaled gas flows between the scrubber canister and the body through the Dräger one way mushroom valves. 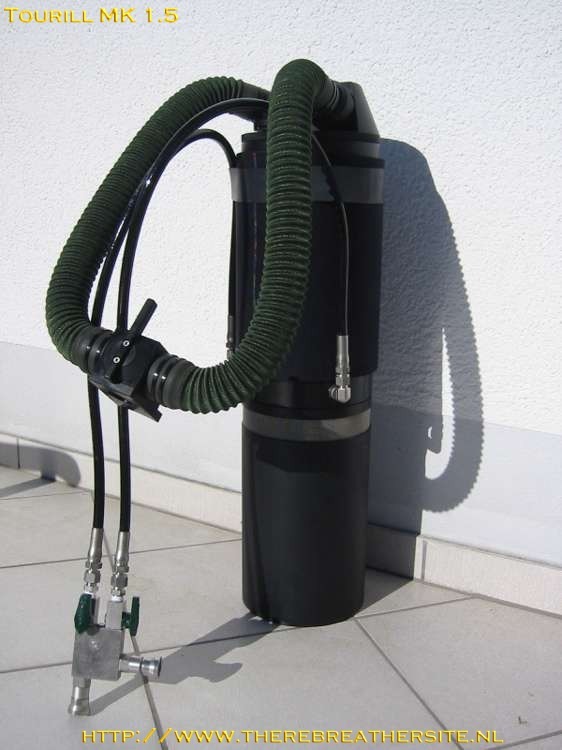 By using this way of gas routing, the scrubber is better insulated when you are diving in cold water environments. If you look into the unit, you can see both the gas addition valves, the valve lifters, the overflow pips and in the center the one way valve cover which is also used as the "close mechanism". 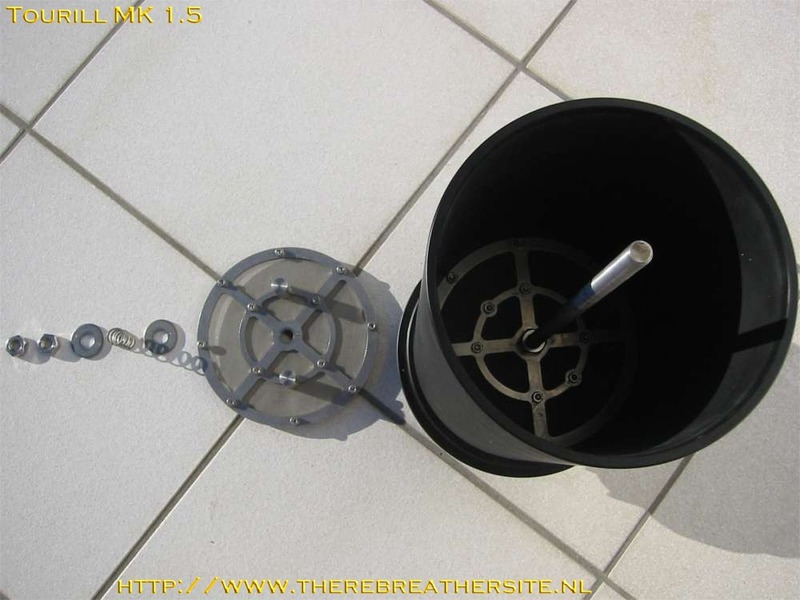 The pipes prevent the Water to get in the large bellow. 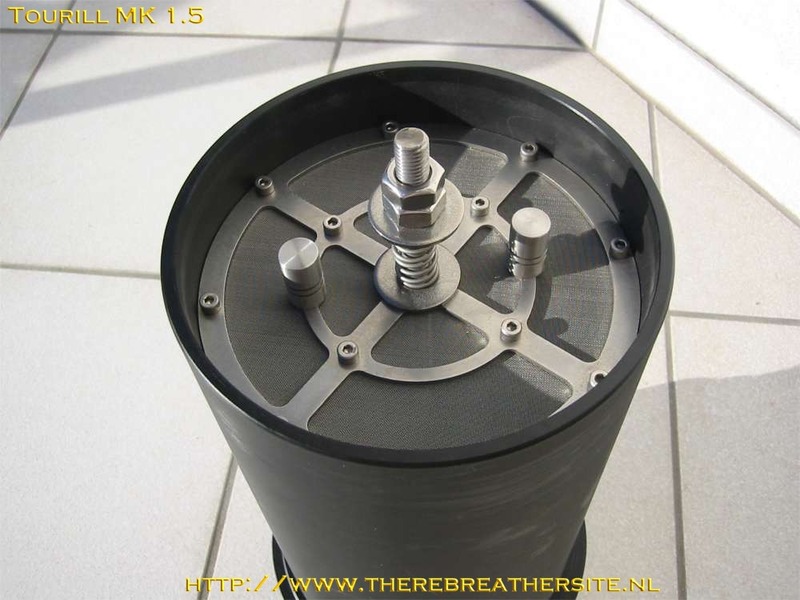 It flows from the tapered area in the minor bellow where the water is dumped, during the divers next inhale phase. 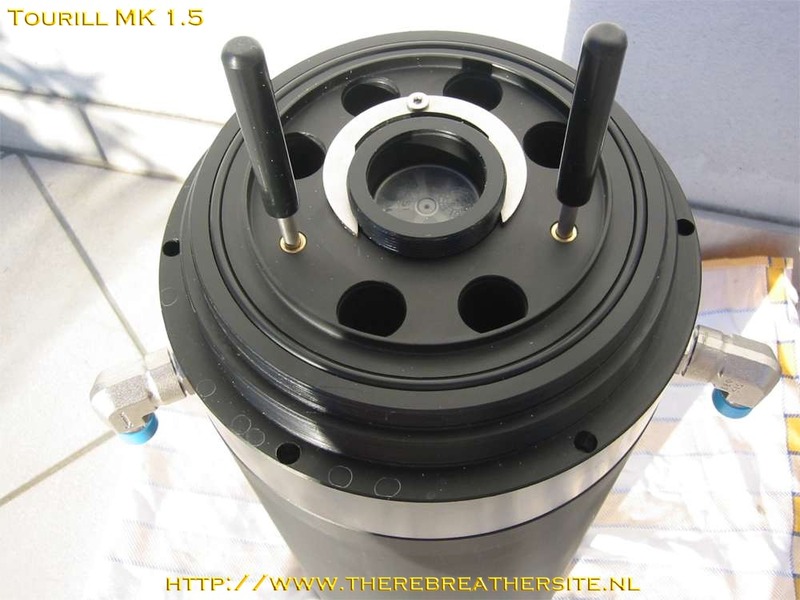 Here you can see the rebreather head with the scrubber canister, the spring loaded lower sift and the centered thread rod. 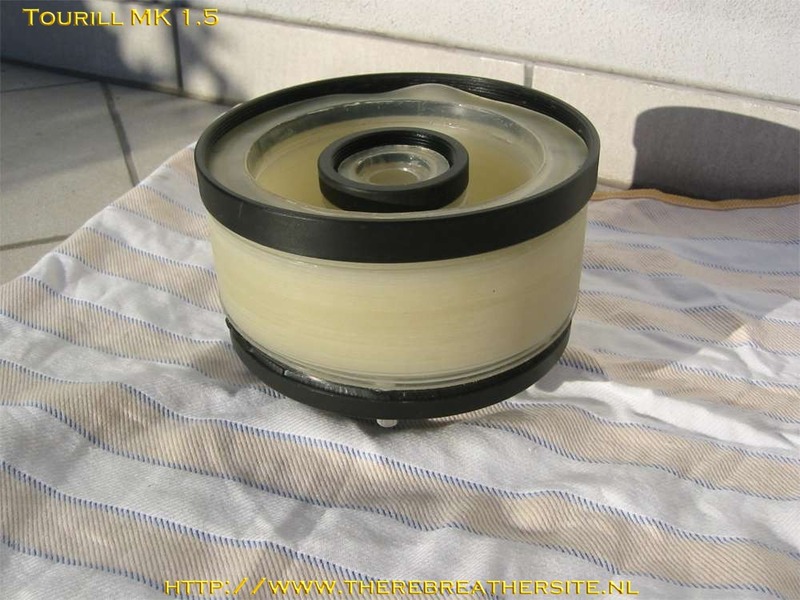 These thread rod is used to adjust and spring load the lower scrubber sift. 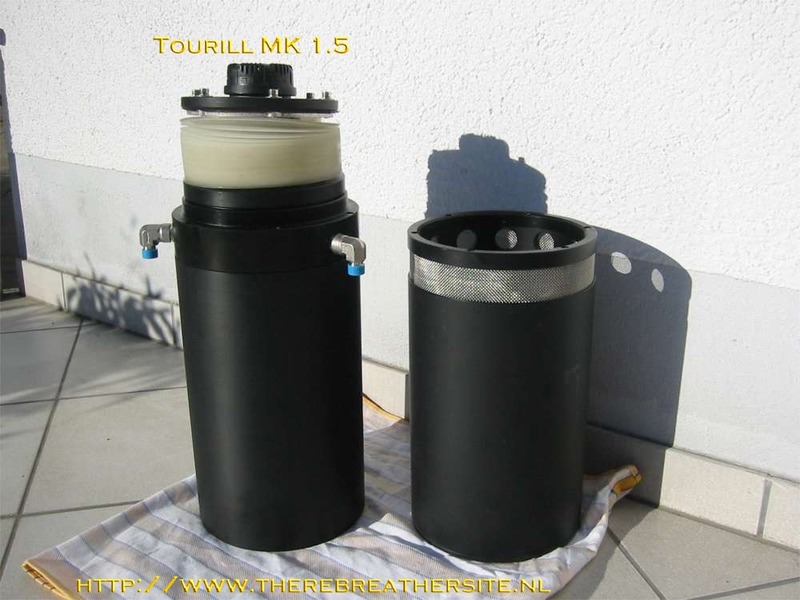 You can fill the unit with much sorb as you need for the dives (1,5-3,3KG). Also the thread rod is use as the "close mechanism". To come up to the counter-lungs just screw off the bottom pipe. To dismantle the bellows, just screw them off via the union nut. The dismantled counter lungs. 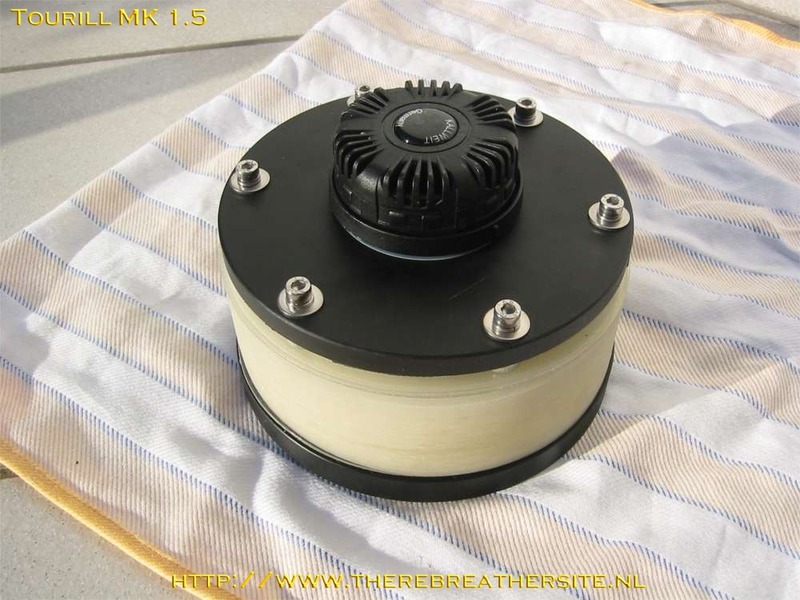 The counter lungs are made from polyurethane which is very flexible (easy to breathe) and food-safe. Ratio of the lungs is 1:10, other ratio is possible. 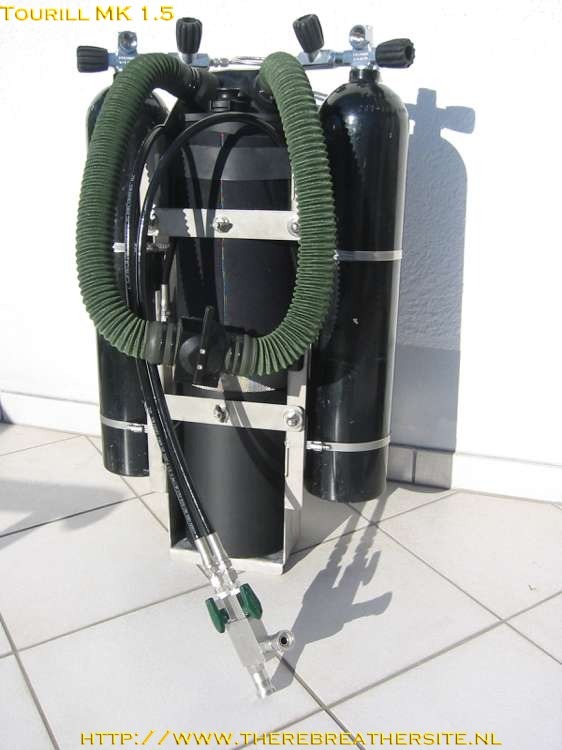 If you need more information about the unit or want to do a test dive please contact me by email info@wassersport-hellwig.de. Training for this unit is available in Germany only till now, but I'm working to increase the training network and work together with a official training organization. Christoph, thank you for your contribution to my website!